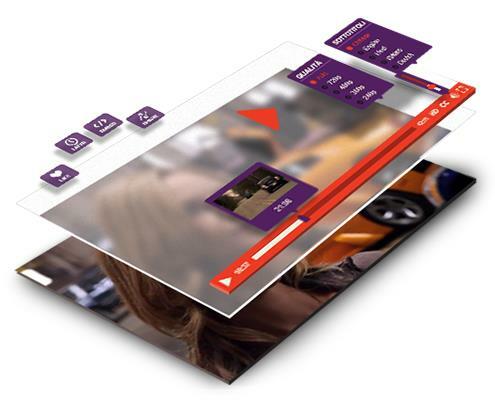 CrossCast allows you to plan different video distribution strategies so to expand your user base and reach new audience segments. Apart from syncing your videos on YouTube you will be able to set up multiple deliveries (web, apps, smart TVs and more) or build custom XML feeds to give your partners. CrossCast-hosted videos are easily sharable on social networks or websites, thanks to the embed code that users can grab right from your web pages (if you enable it). CrossCast can help you to protect your content inventory, not only by applying a watermark. You can also block video playback in selected countries. CrossCast’s video streaming is equipped with a high protection protocol that secures your assets from ripping and other kinds of digital piracy. 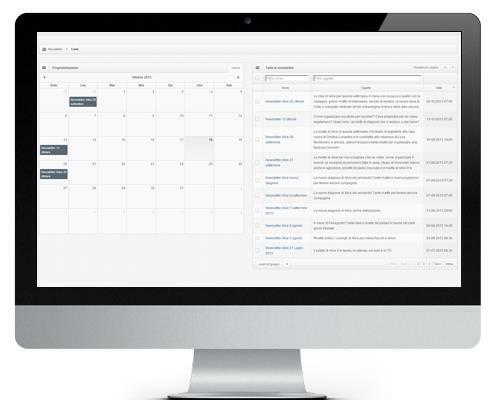 CrossCast’s tools are many and they go beyond the simple management and publishing tasks. Costs and data consumption are also very important and the platform has got you covered again. 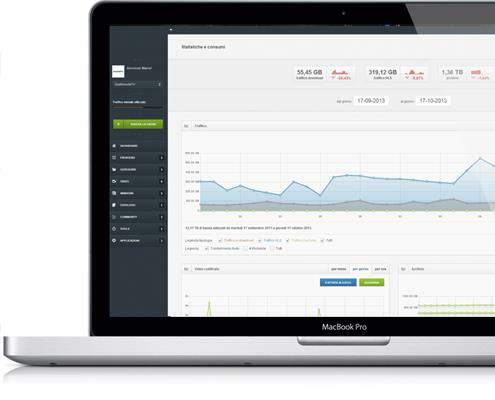 CrossCast’s tools for monitoring are accurate and intuitive. 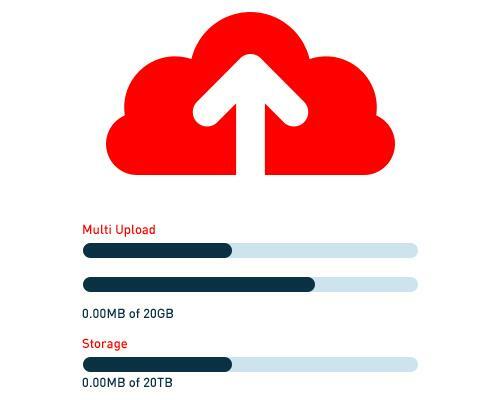 You will be able to control your bandwidth usage, with the possibility to define options that gradually work on video quality to keep data consumption under a user-defined threshold. In depth analytics are also available at any given point for evaluation and reporting. 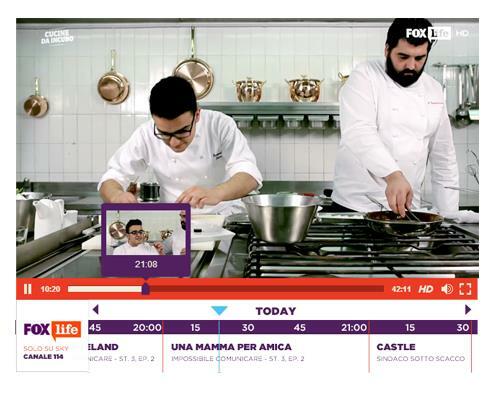 CrossCast also supports live streaming over the internet, using the latest available technologies. 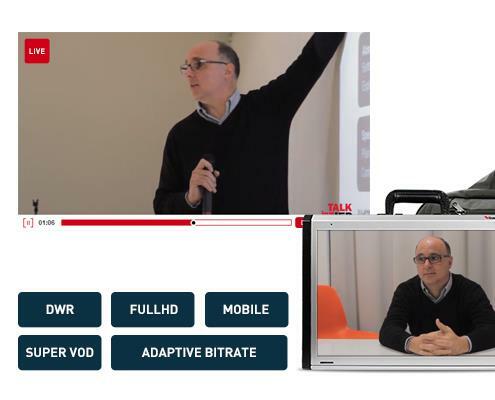 Setting up a new live event is quick and easy: in a few minutes you will be ready to broadcast an adaptive video and audio stream that is also mobile-friendly. When the live event is over the platform will automatically store a copy of all the streamed content. You’ll find it in your video menu, ready to be published or edited. YouTube is natively integrated into CrossCast: from the dedicated menu you’ll be able to import video from YouTube and write all new metadata, just like you do with your own videos. 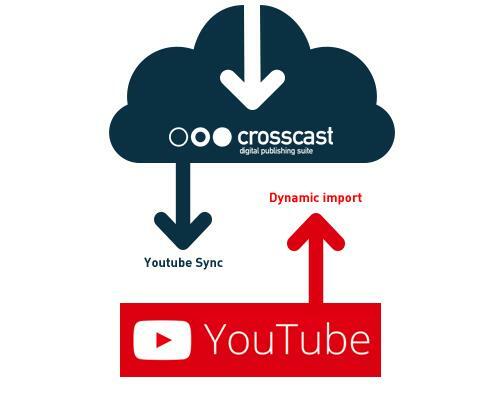 If you’ve got a YouTube channel then CrossCast gives you the advantage of managing it right from one single interface: you only have to activate the sync option into the video control panel. CrossCast allows you to automatically brand your content with one or more watermarks, protecting your inventory from scraping. Just choose one or more logos and the platform will add the default one right into each encoded video. You want to vary the default watermark or change it for a single video? From the management panel you will be able to do it in a breeze. You need custom social sharing buttons, advanced embedding options, subtitles or sensitive areas on your player? Not a problem, CrossCast supports all this and much more. Among other options you will be able to add a custom bar that will show up whenever you want it to: it’s useful to promote links, social features, advertising or whatever comes in your mind. In case you need particular customization, CrossCast’s dev team is at your service. Just ask. CrossCast’s video player is powerful and extremely fast: it’s so smart it can detect automatically the playback device and choose the best file format to stream, Flash or HTML5. It’s also ready for Facebook: when a CrossCast-hosted video gets shared it will play right into the user’s newstream. And when you scroll the marker the player will show you handy video previews for a better navigation. CrossCast’s encoding engine is constantly updated to the latest available standards and guarantees the best video playback, regardless of line speed and device. 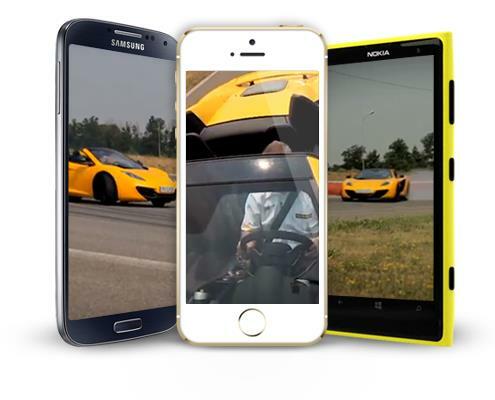 Your users will be able to enjoy your videos on tablet and smartphone, without lag or quality loss. Once you’ve uploaded your video, CrossCast will automatically generate all optimized files ready for any device out there. 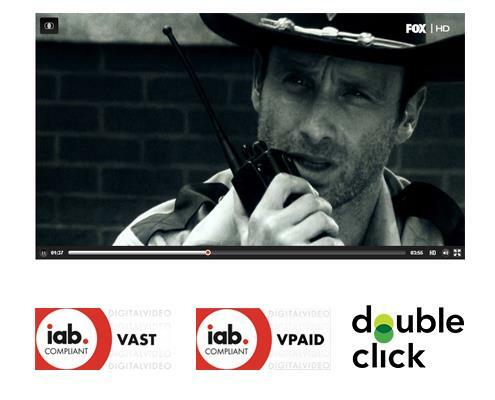 CrossCast natively supports IAB guidelines concerning online advertising, also for videos. You already have advertising suppliers that deliver using VAST, VPAID o Google IMA tags? All necessary configuration to implement those protocols on CrossCast is a matter of minutes and your advertising campaigns will be ready to go live in a breeze. CrossCast’s video player also supports HTML5 ad units, this means your advertising campaigns can be seamlessly delivered on smartphones and tablets too(*). (*)The ad suppliers must provide HTML5-compliant assets. 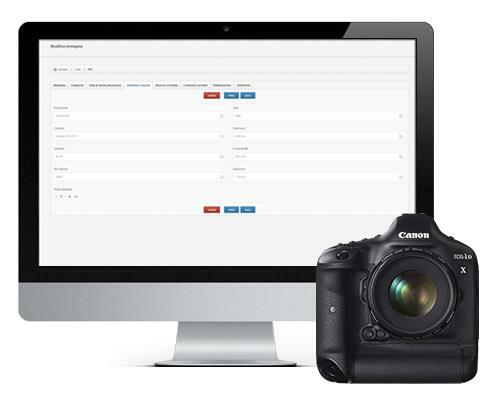 CrossCast’s video management will amaze you: the editorial team will be able to upload one or more videos in a few simple steps via FTP, CrossCast’s web interface or even a smartphone (*). Your files have different formats and don’t follow specific technical guidelines? Not a problem, CrossCast supports all the most popular file formats. Once the upload is done, your editors can write all necessary SEO metadata and publish the video, in the blink of an eye. All is done from one consistent interface and in a fully integrated environment. (*)Actual upload speed may vary depending on available bandwidth. CrossCast’s posts analitycs offer all data you can think of, both inside the post detailed view and in a dedicated page that offers various graphs and charts. Do you want to analyze it all on your PC? No problem, the platform allows you to export all data in a variety of formats. As it happens for videos, posts can be syndicated to match your distribution strategy: some of them can be published on partner websites and others on Facebook fan pages or on mobile apps. CrossCast manages all those possibilities in one single page of the post’s detailed view and this puts you in control of all your posts. CrossCast makes use of all the available technologies to enrich your posts with multimedia content, photogalleries and videos. 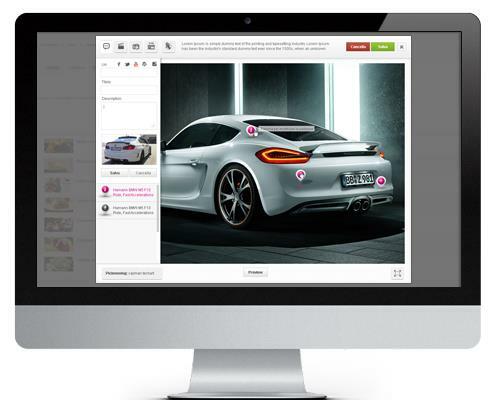 The platform allows to choose from a variety of templates for posts, a feature that gives your editorial team a flexibility never seen before. The result is a new kind of article with a strong visual impact and and the completeness that is so crucial for all web users. In the detailed view of each post we’ve included all necessary fields for the best indexation and search engine optimization. But that’s not all. CrossCast integrates schema.org HTML markups, a standard that’s officially supported by Google and all major search engines. All this in a tabbed interface that’s consistent throughout the entire platform. From the list view you will be able to edit, publish, unpublish or delete one ore more existing posts. You can also search for a particular post, change the listing settings, apply batch actions to various items and, obviously, write a new post. The dashboard is the starting point for every editorial team’s workday. From here you have a quick look on the latest post, a quick access to their detailed view and the most important analytics about them. From here you will be able to manage all watermarks for your image inventory: upload as many as you like, edit them, apply them and protect your content by customizing it at the same time. CrossCast offers a lot of analytics and graphs also about images: discover your most viewed galleries (even on multiple websites), your most performing deliveries or most interesting categories. Want to drill down through your data? Export it all in .xls format and continue analyzing on your own computer. CrossCast offers an advanced image management system, so well engineered that most of the tasks are carried out automatically. You will only have to upload the images and fill in the metadata fields. 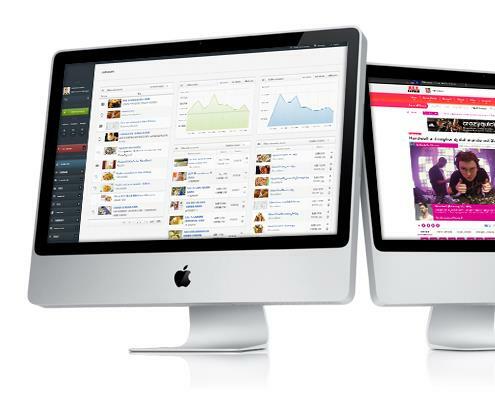 All the necessary formats and size optimization will be done by the platform. 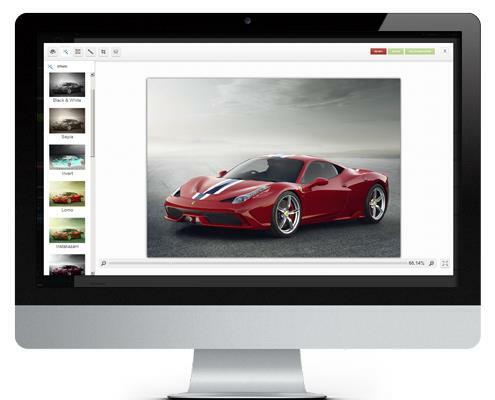 From CrossCast’s images menu you will able to create rich image galleries. To do this you will only have to complete a few simple steps, using existing pictures or uploading new files. Once you’re done with the creation just publish and share your galleries on your social network accounts to make the most of them. CrossCast is also able to read the original metadata of each image, like aperture size, ISO, exposure, camera model and much more. 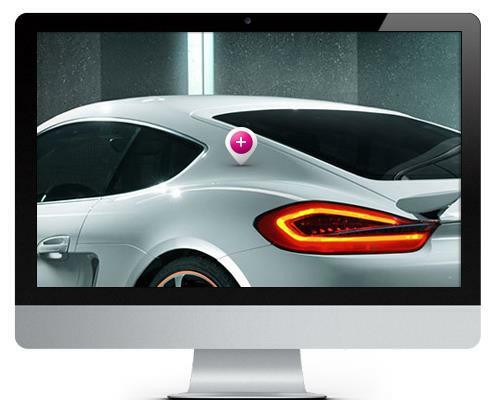 From the detailed view of each image you will access different information and editing options. With the graphic editing module you will be able to work on your images right from CrossCast’s very interface. No need to use difficult third-party software. 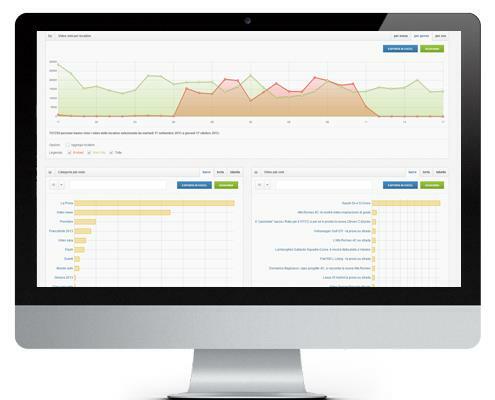 From this menu you can also control all publishing options, assign different deliveris and review traffic analytics. If your community members are allowed to publish posts, videos and images through CrossCast you’ll probably want to check the quality of that content. 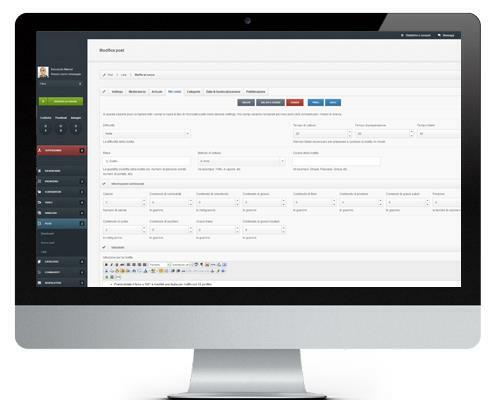 The platform allows you to do it very easily, with an advanced notification system that will alert your editorial team with e-mails or messages right into CrossCast’s interface. If you manage various properties and each one has got its own community, CrossCast can make your life easier [*]. From the management menu you will be able to work on all communities, without the need of multiple logins. The interface stays the same, you’ll only have to activate one single option. Generate a constant conversation between users of your community using CrossCast’s social features! Your subscribers can save their favourite content, publish their own, follow and be followed by other users, connect and sync their profile with their accounts on various social networks. 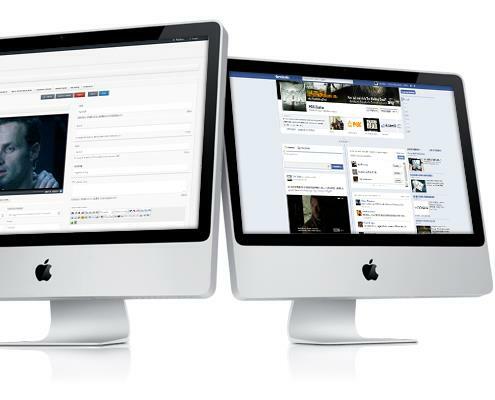 You can even create contests and use CrossCast’s realtime comments system for live events. Do you want to send dedicated newsletters for all different users in your community? No problem: you can do it by creating custom user groups, using CrossCast’s user-friendly interface. The internet nowadays is a dialogic entity and CrossCast supports this trend by integrating several social features. You will be able to manage various communities and create custom user groups inside them. Each user can have a specific role: unlock special features for your die-hard fans or monitor user-generated content, check all infos about your subscribers and export all data with a single click. If the available apps aren’t fit for your needs or you want custom solutions just contact CrossCast’s development team. We’ll help you with everything you need. If you use QR Codes to spread your editorial content on other media, both digital and printed, then you’ll find CrossCast’s QR code generator very helpful. 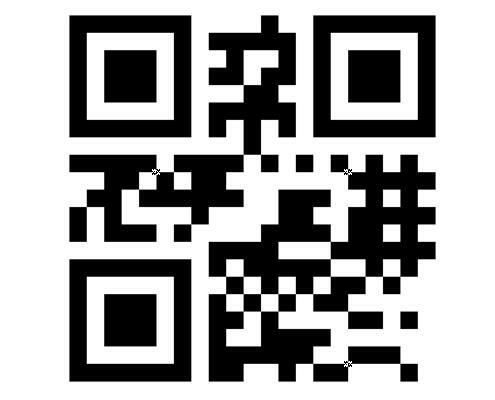 Just click on the button and generate the QR code you need: you can configure it, send it via e-mail or download it directily. 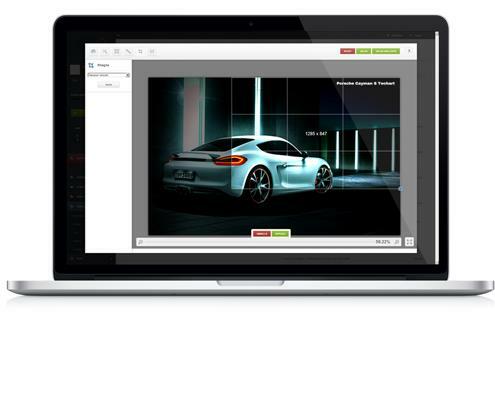 Switch on this app and easily attach one or more files to a CrossCast-managed content. Yes, just like you do with e-mails. This feature is particularly useful when your editorial team needs to publish files, for any reason, and it doesn’t require any FTP client or other online storage solutions. The content production will be faster and your published content will be more exhaustive. The editing app will give your editorial team a complete set of graphic tools to modify all the images uploaded on CrossCast. 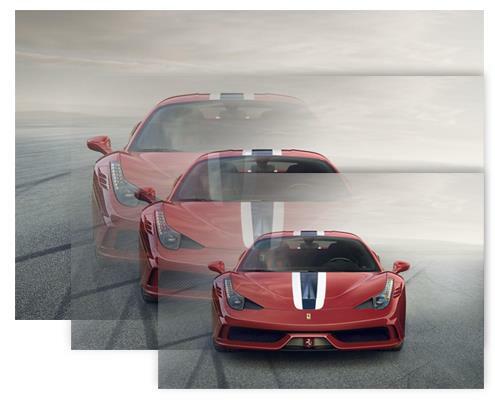 The results are as stunning as if you used any third-party professional editing suite. What’s the difference then? All happens right into CrossCast and this speeds up the content creation. A lot. 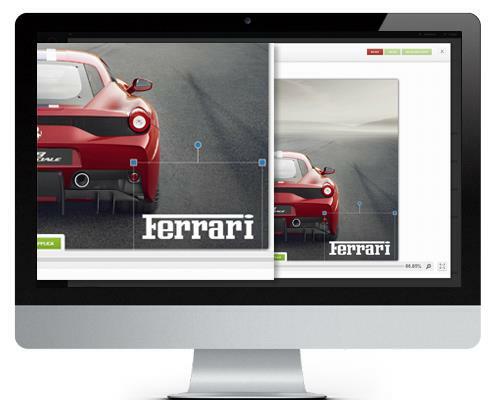 Your editors will be able to crop, resize, add text, clip arts, icons, apply filters and much more. And the whole editing process will take only a few mouse clicks. Choose a title and a template for your newsletter, then select the content you want to send your users: posts, galleries or videos. Check the preview and write down some custom text, then choose the best sending time and date: creating a newsletter with CrossCast is a quick and easy process. From the management list you will have a quick look on what’s planned, thanks to a handy calendar UI. Since you can create various user groups in one or more communities, you’ll be able to deliver targeted newsletters according to your subscriber’s personal data or interests. Each newsletter può can be sent separately from the others or you can choose to send them all together. You’ll have full control of each step. Choose between pre-made templates or upload your own, if you have one. We can also create a custom template, especially for you. Just ask CrossCast’s development team and we’ll do our best to make CrossCast fit for your business. Use all your assets already on CrossCast to create professional newsletters in a few simple steps. You can also include custom content or choose between multiple templates. Thanks to CrossCast’s advanced community management system you’ll be able to send the right message to your users, thus optmizing conversion and click-through rate. 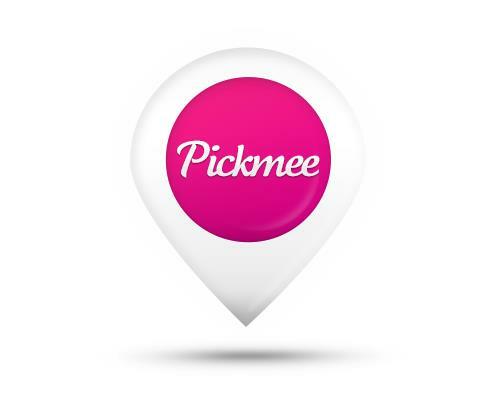 PickMee’s picks can be seen everywhere, not only on your website or app. Users must be able to share your content on whatever social network they want. That’s why we managed to make all picks visible also on all the most famous social platforms, like Facebook and Twitter. Your content will always offer PickMee’s enhanced experience, even outside your website. PickMee integrates seamlessly with catalogues of products already imported into CrossCast. 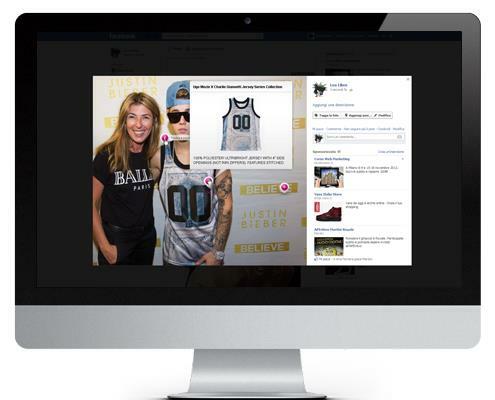 Your editorial team will only have to select a product to link to your assets. Yes, adding a new “product pick” is that easy. 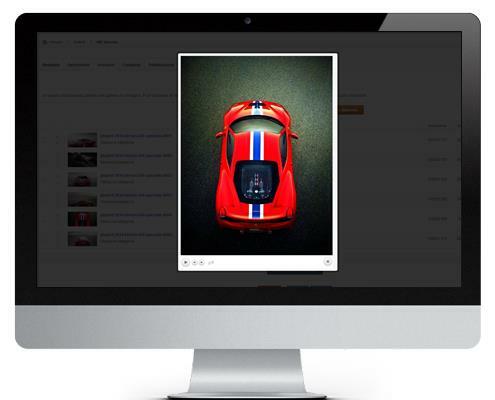 If you have got one or more highly visited photo gallery on your website you can monetize it using PickMee. 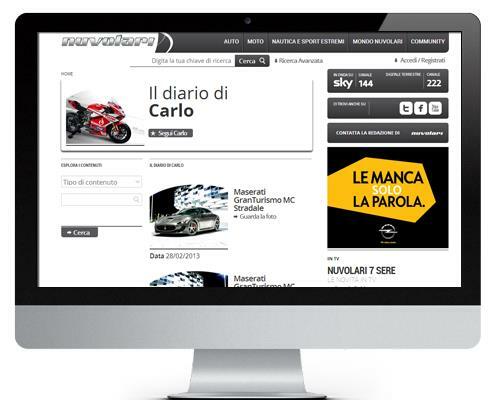 Just add additional information, contextual products for sale and earn money in addition to traditional banners. Once your editorial team has created all necessary picks, CrossCast will notify the users of their presence using graphic markers. At every click your users will see products, details, price comparisons or they’ll be redirected to your e-commerce site. It’s all in your hands: be creative! Adding a new “pick” is an extremely fast and easy process: just select the destination (a webpage, one post, one video etc. ), define a sensitive area and drag the marker where you want it to appear. PickMee supports all most famous social networks and online platforms. For example, when one of your editors links one image hosted on CrossCast to YouTube, PickMee will automatically recognize the destination and will show a specific icon on the marker (we call it “pick”). Your users will always know where they’re being sent. 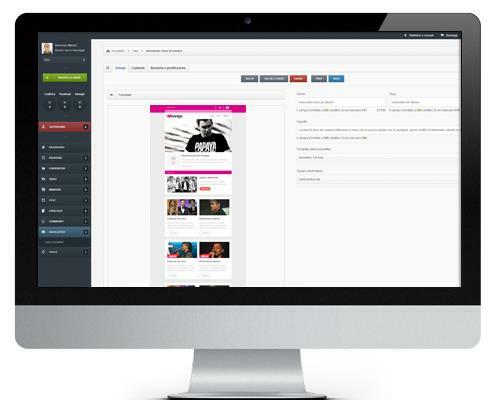 Engage your users like never before with PickMee, the new contextual tagging tool integrated into CrossCast. With PickMee you can increase your asset’s reach by encouraging the discovery of your entire editorial content, organized through a easily-recognizable set of icons. You can also set up an hyperlinks path, by suggesting related posts, galleries, videos, products on sale (even on your e-commerce site) and other resources. Do you need to integrate CrossCast’s services in another environment or in your existing website? Do you need dinamic solutions but you don’t want to overload your dev team? 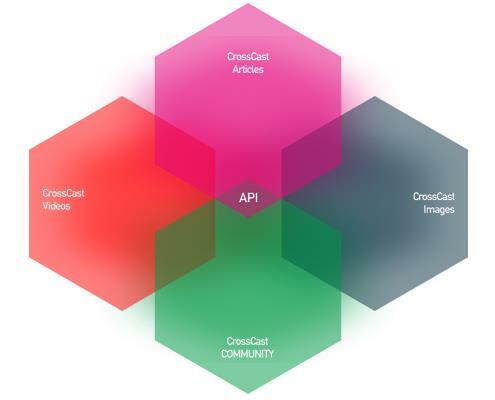 CrossCast has got a full set of APIs that have been created for these and all other scenarios that may come into you mind.